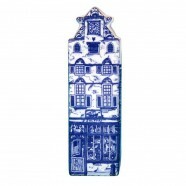 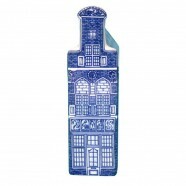 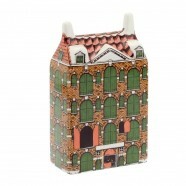 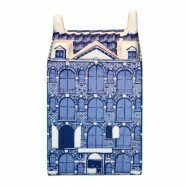 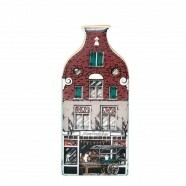 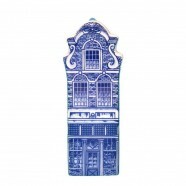 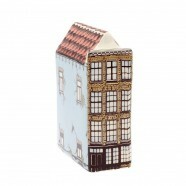 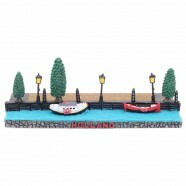 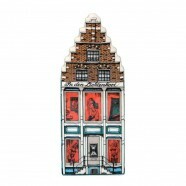 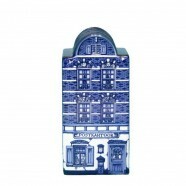 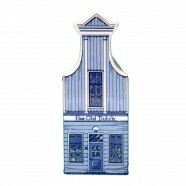 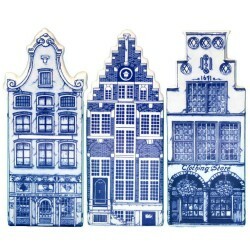 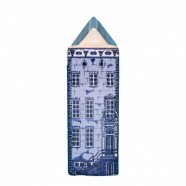 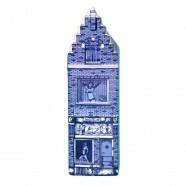 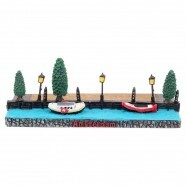 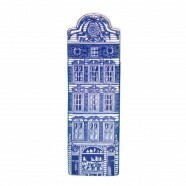 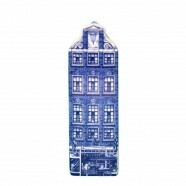 Variety of miniature Amsterdam Canal Houses in Delft Blue or Polychrome, small and large. 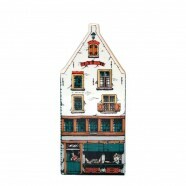 Amsterdam Canal Houses in polychrome colors. 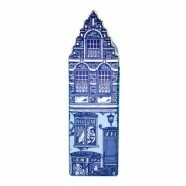 Delft Blue Amsterdam Canal Houses. 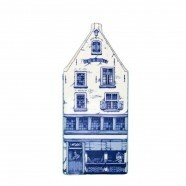 On the outside of the Canal House you can see and feel the brick structure, just like the world famous KLM canal houses.